I am a huge believer that personal projects are essential for personal and professional development. Not only do they help us grow by keeping us constantly active, but they also help us balance work, time and yes, even stay fresh. So, when I found out that my good bud Matt Steel launched an ambitious Kickstarter project, I had to share it, specially with all you book lovers here. 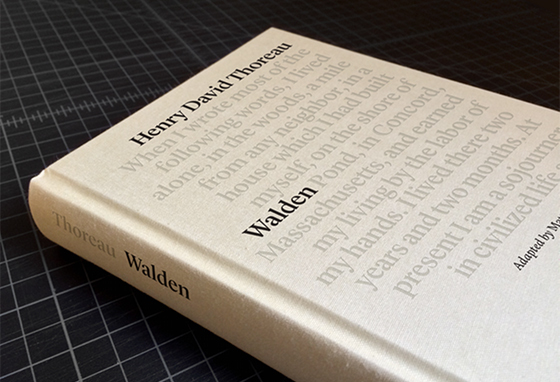 Matt’s goal is to reach enough funding to create an newly edited hardcover adaptation of Henry David Thoreau’s WALDEN. Check out the project’s video after the jump!